Here’s the thing. I love Pluto. Not Pluto the planet, Pluto the Disney dog. If you need proof or back story on why Pluto is amazing, you can follow these links to my previous blog posts about the wonderment that is Pluto. If you want a history of Pluto, click here. 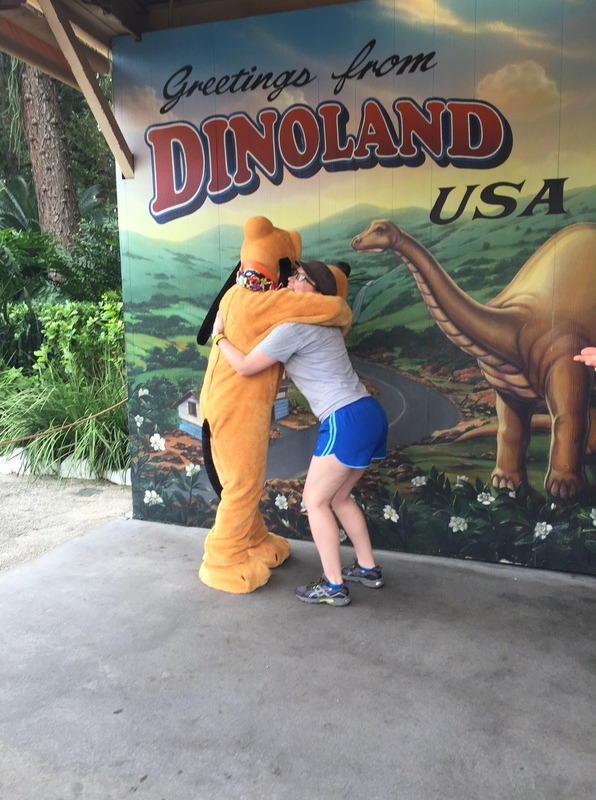 And if you want to watch a video so you have proof that Pluto is the best, click here. All right, now here is the problem. I think I’ve just established that since his first appearance in 1930, Pluto has shown himself to be clever, loving and fun. I don’t want to start a controversy, but I firmly believe that Pluto is in fact a better role model and friend than Mickey. Yet Mickey has theme parks! Mickey gets to be the star of the parades, and Mickey has all the merchandise. Now I know that it is too late to dethrone the mouse. It would take a coup d’état that would leave the small world ride in ruins. But I don’t think it’s too much to ask to want a cute Pluto t-shirt, tank top, or even a nice hat! I don’t mean one of those weird hats with the droopy ears. I want a classy baseball cap. is the ONLY Pluto shirt they have! The only one! I don’t like Mickey. I like Pluto. Now I will say that at least the housekeeping cast member who took care of our room seemed to respect Pluto. She made sure that Pluto and my stuffed puppy had some TV to watch while I was in the park. But still Pluto deserves more! So here’s what we need to do. We need to come together as a Pluto-loving community and tell Disney that Pluto deserves more respect. He works hard, gets tormented by chipmunks, and still manages to be a good friend to the mouse. He deserves a better character spot, merchandise, and a new pre-feature short so the next generation will understand his greatness! If we band together, my friends, we can save Pluto from obscurity, and maybe I can finally have a damn hat! So tweet Disney. Ask for Pluto at your local Disney store. Share this post and spread the word. Pluto deserves our love! We will not let him fade into the Disney vault. We will fight for Pluto!